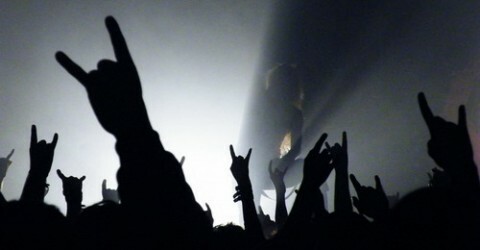 There are legends in Metal, and then there are Icons; the latter being few and far between… A handful of bands whose name is eponymous with Metal – they inspire , influence, are emulated, well respected within and without their genre, their songs are covered from one end of the Earth to the other and they continually sell out arena and stadiums. What makes Iron Maiden unique from many Metal bands is they gained popularity in the 1980’s through word of mouth alone. At the time, rock radio played what was number one on Mtv and it was not the music Iron Maiden played. Radio was deluged with a horrendous slew of new wave bands, any hard rock or Metal music played was pop-oriented, trendy and/or had picturesque band members (pretty-boys). Yeah, that left out Iron Maiden whose music was galloping riff oriented theory based mini-epics with lyrics that were serious and told stories. They have never followed the mainstream musically or lyrically. One other way Iron Maiden gained their popularity was through extensive touring. The U.S. (North American) tour kicked off on 11 May 1982 with a show in Flint, Michigan and went until 18 August 1982 when the band took a short tour break to play three shows in England, the last being the Reading Festival before restarting their U.S. tour on 01 September 1982 and ending on 23 October 1982. When their U.S. tour was completed, they had played a total of 95 shows in the United States and 11 shows in Canada for a total of 106 shows in 152 days. By the time they were done touring, sometimes as openers and sometimes as headliners, there wasn’t a MetalHead in the United States that didn’t know who Iron Maiden was. That is how Iron Maiden became so damn popular in the United States with little radio play. These days, what passes for a North American tour, comparatively, is a feeble attempt at best, with most bands doing five shows on the EastCoast, five shows, East to West, through Canada, and five shows down the WestCoast. And maybe, maybe a show here and there in major cities like Dallas, Texas and Phoenix, Arizona. 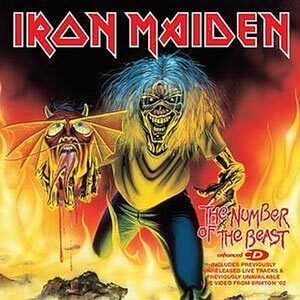 The number Of The Beast is a classic album that helped spawn a genre of music that continues to evolve and gain in popularity. PowerMetal pioneers, Helloween‘s, music from Keeper Of The Seven Keys era, has Iron Maiden influences all over and has since. Was/is Iron Maiden the first PowerMetal band in infancy? There are many who believe so and those who do not. Whatever the case, The Mighty Maiden‘s influence can be heard in such bands as Kamelot, DragonForce, Nightwish, Blind Guardian, Midnattsol, Dark Moor, Rhapsody Of Fire… professed MetalHead, Lady Gaga, has covered Maiden during live performances and espouses admiration for the band, their music, and career. Since becoming headliners, the band KISS, has only played second to one band, Iron Maiden. Like modern day Maestro’s, their music reaches beyond the years to influence and excite new fans. That they still release new material and tour extensively is proof that they are more than deserving of their status. Even their famed mascot, Eddie – who has graced, in some form, every release, is well known. Many fans await new albums to see what changes have become of Eddie, good or bad. On this release, Maiden was joined by Bruce Dickinson on vocals. Because of his loud singing style and high-pitched screaming, he became known to fans as The Air Raid Siren. Drummer, Clive Burr, has his last recording with Maiden on this album before leaving the band. Clive‘s drum tech, Nikko McBrain took over playing drums for the band. 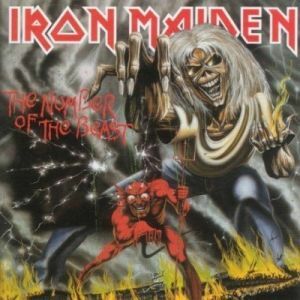 Upon release of this album, the band was immediately tagged as devil worshippers although the lyrics to the song The Number Of The Beast were written about a dream (nightmare) that Bassist Steve Harris had after viewing the movie The Omen II. A masterpiece in Metal finery, The Number Of The Beast is a true Metal classic. It has made list after list of greatest albums from fanzines, magazines. Numerous covers by many bands and performers have covered songs from the album. You should know what most do. 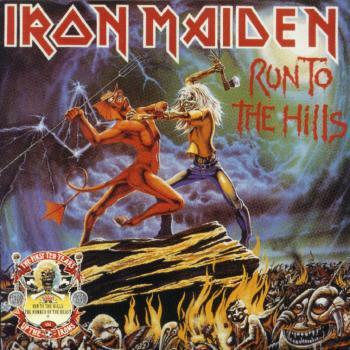 Get The Number Of The Beast, press play and have one hell of a Mighty Maiden moment!